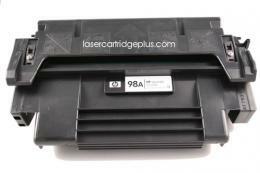 92298A HP LaserJet 4 Toner (HP 98A) - Compatible with HP LaserJet 4, 4M, 4 Plus, 4M Plus, 5, 5M, 5N, 5SE, Apple LW Pro 600, HP 98A (92298A) Remanufactured. 6,800 Yield, Black Toner Cartridge. 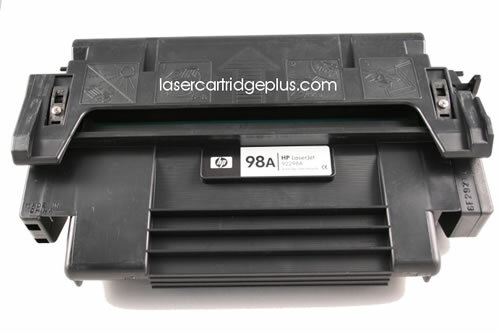 The HP LaserJet 4 Toner 92298A Black Print Cartridge is ideal for the average user in home or office. It offers microfine toner for clear and sharp results. Yield: 6800 pages, based on 5% average coverage. 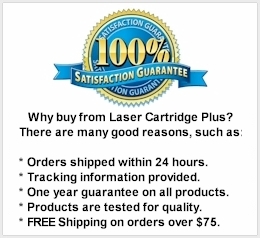 This is a Laser Cartridge Plus brand (LCP recycled) cartridge, not a HP brand name cartridge. Any use of a brand name or model is made solely for purposes of demonstrating compatibility.